The ‘Windrush generation’ scandal is wracking the United Kingdom: the Home Secretary was forced to resigned, a Parliamentary Committee was struck to examine what went wrong, thousands of files were poured over for wrongful deportations to Jamaica, and reparations were paid to the unlawfully detained. UK Prime Minister Theresa May promised in April 2018 that “the UK will do whatever it takes including, where appropriate, payment of compensation, to resolve the anxieties and problems that some of the Windrush generation have suffered.” More recently, the outgoing commissioner for Barbados is leveraging his farewell “love letter” to call for a Truth and Reconciliation Committee to help mend the social fabric. While the outrage at the unlawful, unethical, and most likely racist detentions is warranted, we should be careful not to turn our backs on the thousands of other detainees who do not fall into the ‘Windrush generation’ category. This CARFMS Blog post provides an overview of the scandal, and a warning to scholars that demarcating some people as wrongfully detainable leaves the vast majority of the unjust system intact. Yet, no matter how many apologies are issued or resignation letters accepted, no progress will be made if the structural injustices that enabled the arrests, detentions, and deportations are not remedied significantly. When the Government stripped people of their rights, it was a consequence – not an aberration – of a system deliberately rooted in a legal ‘culture of disbelief’ and designed to cultivate a ‘hostile environment’. 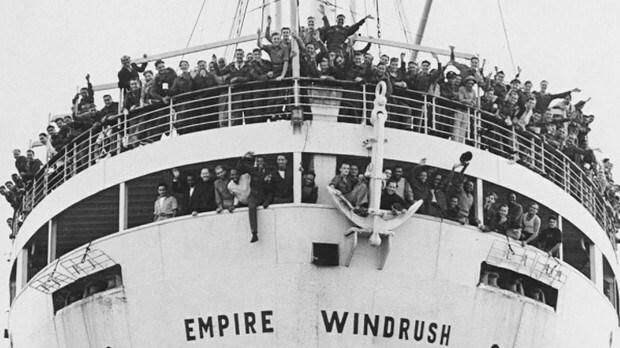 Members of the ‘Windrush generation’ include thousands of people who came to the UK from Commonwealth countries after the Second World War and before 1973. They are mostly racialized and aged persons. The name derives from the 1948 arrival of the HMT Empire Windrush at Tilbury Dock. This ship ferried some 500 Jamaicans who had been invited to settle in the UK in order to assist with rebuilding the country after the War. This ship presaged an age of Commonwealth migration to the UK which continued throughout the 1950s and 1960s. They then resided and worked for decades in the UK, often paying taxes and contributing towards their pensions. However, they became ensnared in the racist, classist, and ageist ‘hostile environment’ policy. With the Immigration Act 2014 and Immigration Act 2016, the Home Office sought to create a ‘hostile environment’ by restricting access to subsidized housing, the National Health Service, banking, and legal representation, and increasing penalties for unauthorized working. The members of the ‘Windrush generation’ who did not have a British passport were required to ‘prove’ their legal status to the Home Office. The threshold was set incredibly high: they were asked to produce 4 pieces of documentary evidence for each year of residence in the UK. Those who could not were reclassified as “illegal immigrants”, and subject to “hostile environment’ restrictions. The wages, opportunities, and health care lost under the ‘hostile environment’ policy has resulted in destitution and discrimination, and the overall effect has been to sow discord and distrust. Likewise, Paulette Wilson, 61 years old, was denied social benefits and access to healthcare, and refused permission to work for 2.5 years before being taken to two detention centres and prepared for deportation to Jamaica, a country she left at 10 years old. It was only last-minute legal interventions that prevented these deportations, a fortunate twist of fate that eluded 63 additional members of the ‘Windrush generation’ reported to have been wrongfully detained and deported. The experience of being targeted as an ‘illegal immigrant’ was universally reported as traumatic. When The Guardian and other media began profiling these older British residents and revealed the scale of harm, the trend coalesced in to a scandal. At its core, the scandal reflects an uneasiness with which people view incarceration and deportation of sympathetic migrants. Unlike the ‘zero tolerance’ miasma to separate parents from children that is still unfolding in the United States, the Windrush grandmothers and grandfathers were not newcomers to the UK. In fact, just the opposite: they are sympathetic older folks who had been caught up in the official “hostile environment” policy that aimed to round up or make life difficult enough for irregular migrants that they would exit their communities and, possibly, the country. Festering at the core of this scandal is the indefinite incarceration, threats of deportation, and actual removal of elderly people who were, otherwise, peacefully going about their lives. The plight of the “Windrush generation” was enabled by its nesting in broader systemic injustices, including racialized discrimination, particularly anti-Black racism; the pervasive “culture of disbelief” within immigration and asylum services; and the inappropriate and abusive use of detention to punish and deter illegalized immigration (which never works). No matter how many officials resign, no meaningful change can occur without the state acknowledging these injustices and taking action to remedy them. The Home Office’s “mistake” then, was that it cast its detention net too far from the “front end” to the “back end” of immigration and settlement policies. Our mistake is to limit our scholarly outrage about detention to this scandal. Indeed, the members of the “Windrush generation” comprise but a small minority of the tens of thousands of people incarcerated each year in the UK detention estate. By bracketing this group off as wrongfully detained, we are falling into a dangerous trap of deeming some residents and newcomers as more worthy of rights, entitlements, and basic decency than others. We are leaving in place the systemic and structural injustices of incarcerating a mostly racialized population for no official reason other than perceived irregularities in their residence status. We are also sidestepping questions of how colonialism lives on and penetrates deeply into penal logics in the UK. 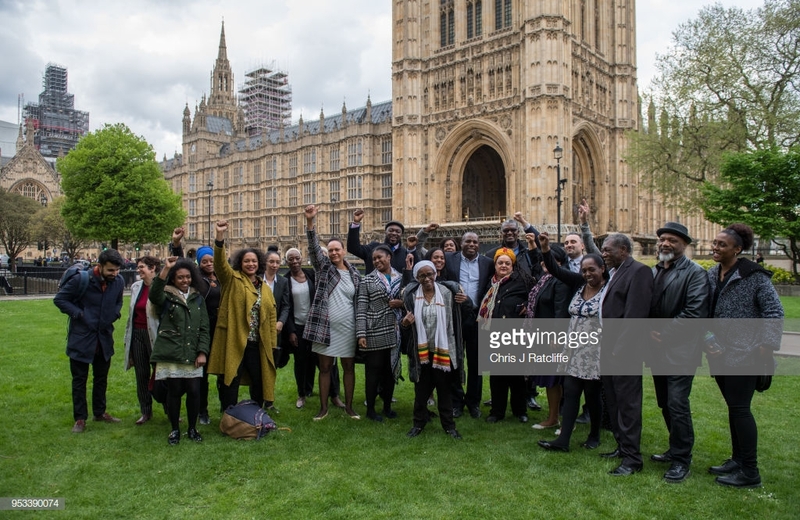 Should the Truth and Reconciliation Committee be formed, it ought to reckon not solely with the grievous harms manifesting from the ‘Windrush scandal’, but with the unjust place of detention in British society as a whole. Dr. Stephanie J. Silverman is the Vice-President of CARFMS and the Acting Associate Director of the Ethics, Society, and Law Program at Trinity College in the University of Toronto. She is a global expert on immigration detention, and her publications include journal articles, policy briefs, an edited book, and the forthcoming book Demystifying Detention (McGill-Queens University Press).